Periphery is an American progressive metal band from Bethesda, Maryland, formed in 2005. History Formation and Lineup Changes (2005 - 2009) Periphery was formed by guitarist Misha Mansoor in 2005. He slowly gained a reputation on the Internet, primarily via a regularly-updated Soundclick account, Meshuggah and John Petrucci forums, and the sevenstring.org message boards. Before and during Periphery's tenure in the metal scene, Mansoor developed a reputation for doing his own audio production, the majority of which was performed with a home computer and a Pod XT during this period. Periphery was formed by guitarist Misha Mansoor in 2005. He slowly gained a reputation on the Internet, primarily via a regularly-updated Soundclick account, Meshuggah and John Petrucci forums, and the sevenstring.org message boards. Before and during Periphery's tenure in the metal scene, Mansoor developed a reputation for doing his own audio production, the majority of which was performed with a home computer and a Pod XT during this period. Mansoor has continued to update his personal project, Bulb, which preceded Periphery, often transferring songs between the two projects. Mansoor continues to be involved in a number of other musical projects. Between 2005 and 2009, Periphery worked with vocalists Jake Veredika, Casey Sabol and Chris Barretto, gradually moving from a nu metal-influenced sound to a more experimental style, with a focus on innovative production. In 2009, the band announced via their MySpace blog that they had signed a one record deal with Sumerian Records, on which they would release their debut full-length album. Periphery has toured extensively since 2008, supporting artists including DevilDriver, Emmure, Veil Of Maya, Animals as Leaders, God Forbid, The Dillinger Escape Plan and Fear Factory. In January 2010, Sumerian and Periphery set the release of the band's self-titled debut album to April 20, 2010, set to be distributed by Sumerian Records in the United States, Distort Records in Canada and Roadrunner Records in Australia and the rest of the world. On January 20, 2010, amid swirling speculation that they had changed vocalists again, Periphery uploaded an album sampler featuring vocals by Spencer Sotelo, who was later announced to be Periphery's new vocalist. The band later clarified via their MySpace blog that the split with Barretto had not been acrimonious. Barretto continues to sing in metal band Haunted Shores, a project composed of Mansoor and Mark Holcomb. 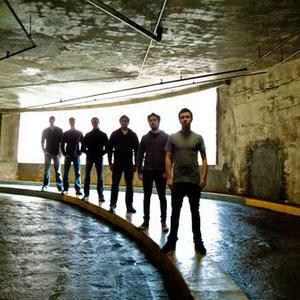 On April 8, 2010, Periphery posted a new track, "Insomnia" on their Myspace page, as well as announced a tour of Australia in support of The Dillinger Escape Plan.